Ringing in the Holidays with an Anne Sportun Trunk Show! Posted on December 14, 2011 at 8:08 am. You know it, you tell us you love it and you wait for it every year! Of course, I’m talking about this weekend’s trunk show featuring the work of Anne Sportun. Since the very first day we opened our doors, Anne’s work has been one of our customers’ absolute favorites, and year after year, she never disappoints. 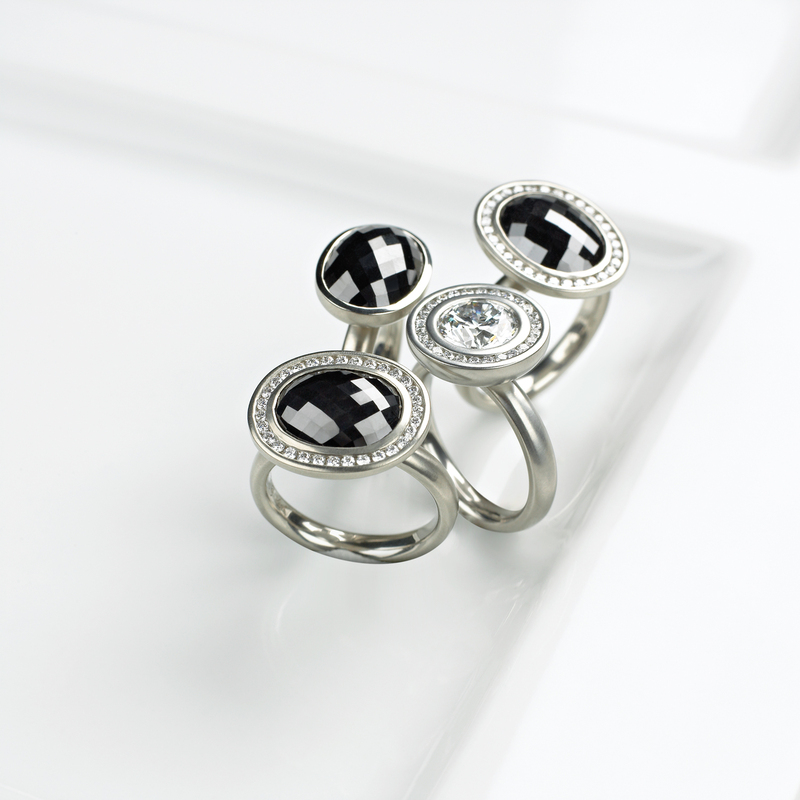 Anne has done an entire line in black diamonds (how about these stunners? ), and we’ve been selling those pieces almost as quickly as they arrive. To get things going this weekend, I hope that you’ll join us on Thursday, December 15, as we ring in the season with a little holiday soiree. Join us for some tasty treats – mostly chocolate, of course – as we and other retailers here at Excelsior & Grand stay open late so that you can get all of your holiday shopping finished. You’ll be able to enjoy special events from the other retailers, along with a sleigh ride. Ok, so there’s no snow outside, so maybe it will be more like a carriage ride. Either way, it will be a great evening here at E&G, and I hope that you’ll join us as wrap up this season’s incredible line-up of designer events with the Anne Sportun Trunk Show. The show runs between Thursday, December 15 at 6 and Sunday, December 18 at 5, with our holiday soiree on Thursday between 6-9.